The horse—a marvel of design, not blind evolution. According to Darwin’s ideas on equine origins, the ancestor of the horse, millions of years ago, was a five-toed, fox-sized creature.1 Through random change, blind selection, and almost endless time, the original five toes fell by ones and twos, as the ancestors of the horse grew from rodent to equine. Evolutionists teach that the hoof remains the sole toe of perfected horse evolution. The theory also proclaims that other existing parts of the leg, specifically the chestnut, the splint bones and the ergot, are all vestigial (leftover, useless) remains of horse evolution’s missing toes. So what is the truth about horse toes? 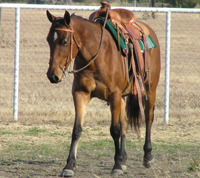 According to Genesis chapter 1, the equine kind2 was masterfully created on the sixth day. God in His skilful design made the equine and its foot like no other. 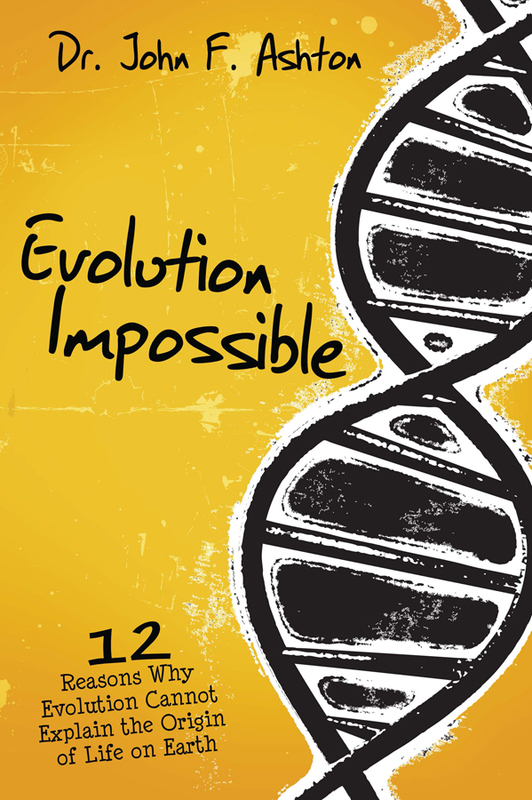 By studying each member of the ‘toe vestiges,’ we can discover fingerprints of the Divine Creator and gather evidence to refute Darwin’s false assumptions. 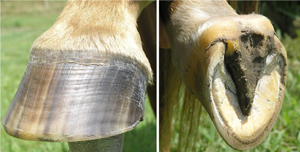 The hoof, or equine foot, is vital to a horse’s existence. This horny structure is located on the very end of a horse’s leg. Hooves play such a crucial role in the health and well-being of the horse that the old adage, ‘No hoof, no horse’ is true. Splint bones actually are far from useless bits of bone. Imagine the horse’s hooves as suction cups that compress with each step to absorb shock while gripping the surface to aid traction. With each step, the inner structures of the hoof work like a pump, compress-and-release, shooting life-giving blood back up the leg and to the heart. Hundreds of microscopic, straw-like tubules serve to reinforce the hoof wall’s strength and draw ground moisture with capillary action to hydrate the hoof wall. 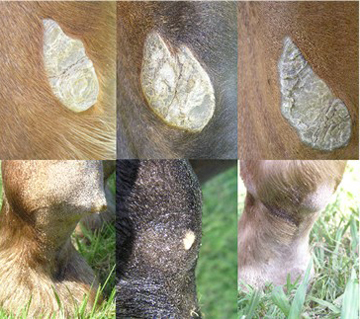 If even one part of the horse’s foot is out of place, the result is lameness, often chronic or painfully disabling. Regression, shortening or loss of toes, is not helpful to the progressive evolutionary theory, which requires an overall increase in genetic complexity. Cases have been reported of multi-toed (polydactyl) horses with extended splint bones as extra toes.11 There are skeletons of horses with splint bones extending as two extra toes. Does this prove Darwin’s theory of a transitional creature evolving into a horse? Certainly not! It only illustrates that a totally equine skeleton had extra long splint bones supporting its fossilized leg that at one time supported a member of the equine kind. The modern equine’s regressing splints suggest only that the genetic material for extended splints has been lost. Regression, shortening or loss of toes, is not helpful to the progressive evolutionary theory, which requires an overall increase in genetic complexity. 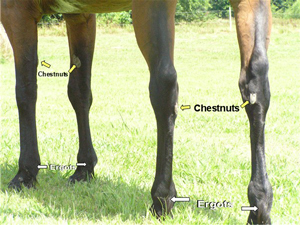 Chestnuts and ergots are unique to each horse and can be used for identification. The photos show chestnut and ergot variations of the forelimbs of three American Quarter Horse mares. The mare to the far right did not have an ergot growth—these, and chestnuts, are commonly absent in all breeds. Orange depicts ergot ligament and ergot. Yellow, nerve and black, artery. The ergot, a small, bony growth located on the back of the fetlock joint, is considered the last of Darwin’s missing horse toes. It too is taught as a vestigial leftover of the evolving horse series. A recipe must have a chef, a portrait must have a painter, and a creature must have a Creator. 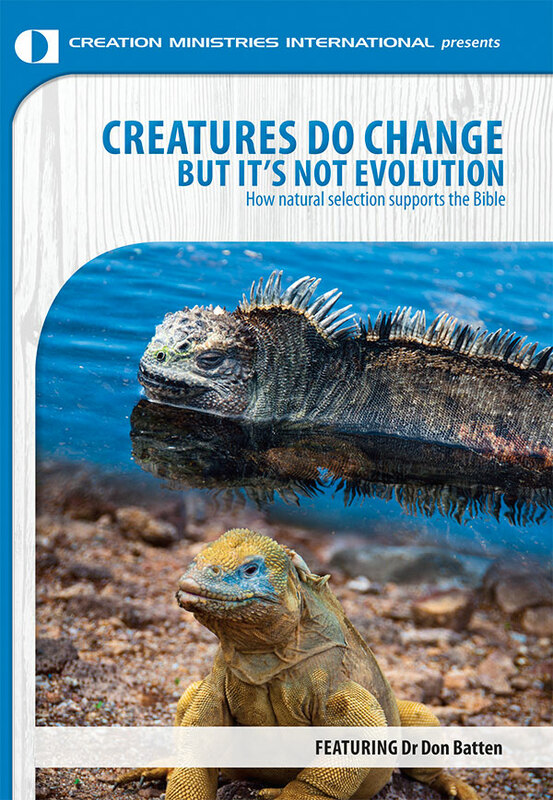 As Christians, we can rejoice that humans and all other creatures are not remnants of thoughtless evolution, but creatures skillfully designed by our Lord and Creator. Useless horse body parts? No way! The fossil of this supposed ancestor has been called Eohippus (dawn horse) but its original (and proper) name is Hyracotherium, reflecting its similarity not to horses, but to the living hyrax, or rock badger, aka coney. It may well be an ancestor of the hyrax. Return to text. This most likely was the ancestor of today’s horses, zebras and asses, which can all interbreed. Return to text. Giffin, James M., M.D. & Tom Gore, D.V.M., Horse Owner’s Veterinary Handbook, Second Edition, Howell Book House, New York, 1998, page 307. Return to text. Butler, Doug. PhD., The Principles of Horseshoeing II, Doug Butler Publication, Maryville, Missouri, 1985, page 121. Return to text. Ref. 4, page 120. Return to text. Bertram JE, Gosline JM, Fracture Toughness Design in Horse Hoof Keratin, The Journal of Experimental Biology 125(1):29–47, September 1986. Return to text. Pollitt, Christopher C., BVSc, Ph.D., The Anatomy of the Inner Hoof Wall, The International Equine Research Center, The Farrier and Hoof Care Research Center, as at 14 June 2008. Return to text. Ref. 3, page 261. Return to text. Ref. 4, pages 138–139. Return to text. Ref. 2, page 100. Return to text. Carstanjen B, Abitbol M, and Desbois C, Bilateral Polydactyly in a Foal, Journal of Veterinary Science 8(2):201–203, June 2007. Return to text. Ref. 3, page 87. Return to text. Hadden, Will A., III, D.V.M., Horseman’s Veterinary Encyclopedia, The Lyons Press, Guilford, Connecticut, 2005, page 169. Return to text. Wolfrom, Glen, Horse Chestnuts, Creation Matters 3(4):5, July–August 1998. Return to text. Ref. 4, page 116. Return to text.